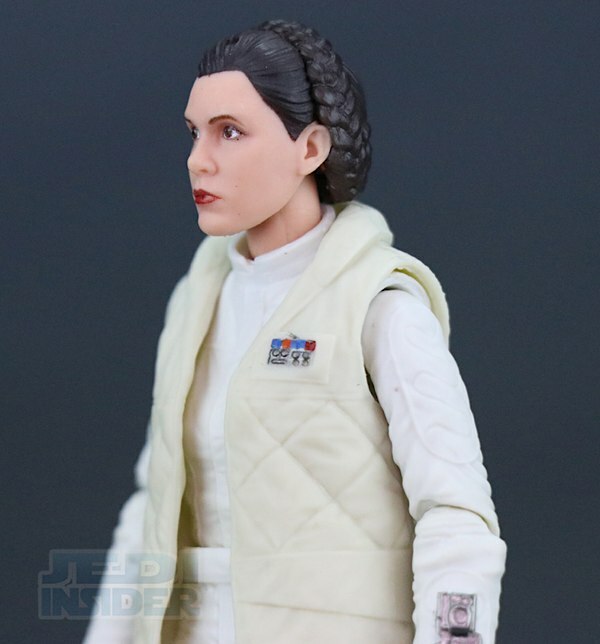 It took multiple tries but it seems like Hasbro was finally able to nail a young Carrie Fisher's likeness with this latest Princess Leia offering from the 6" Black Series line. 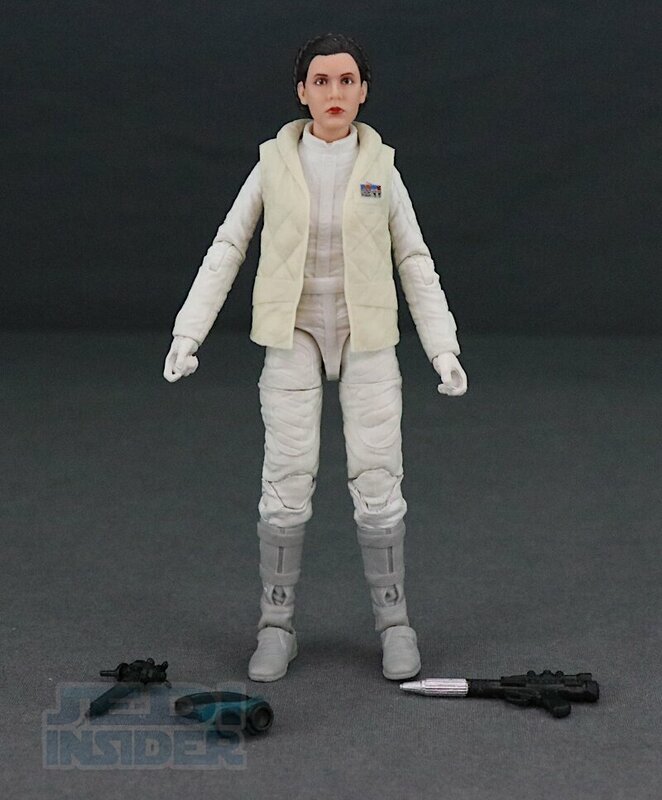 Admittedly Princess Leia in her Hoth attire is the version I have been wanting most from this line and I gotta say the wait was worth it. 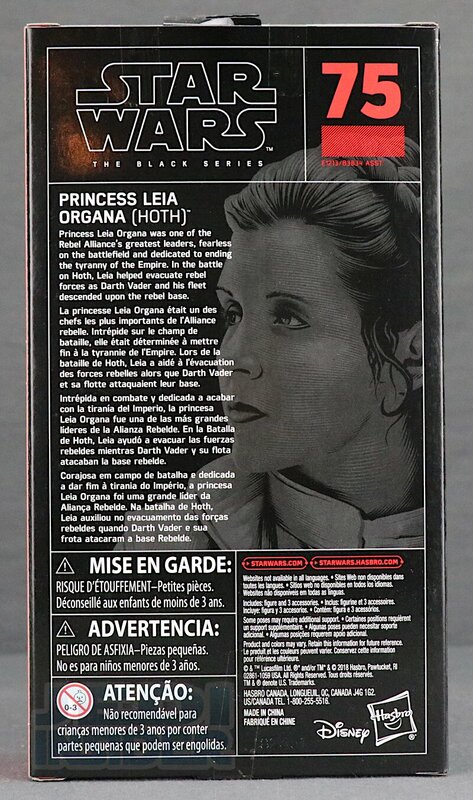 The figure comes packaged in the same standard red and black window-box with the multi-lingual bio on the back. 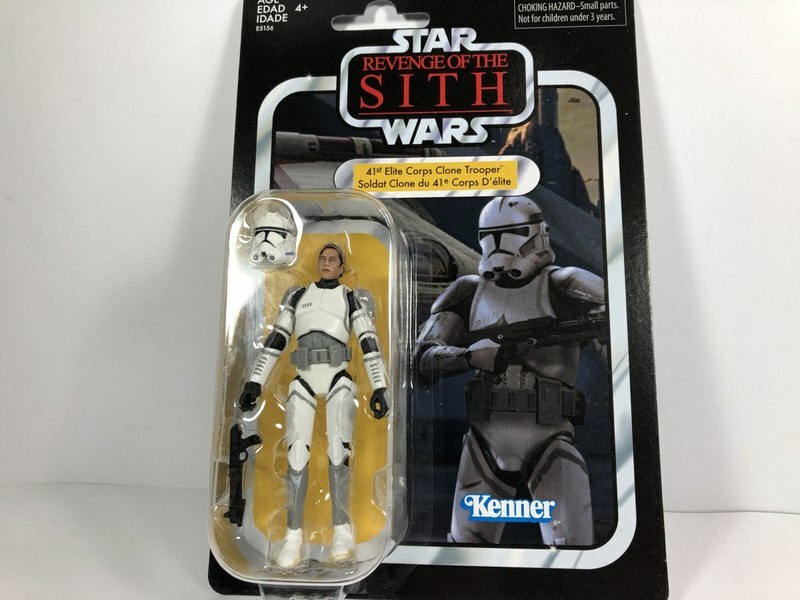 This is figure number 75 in the series. 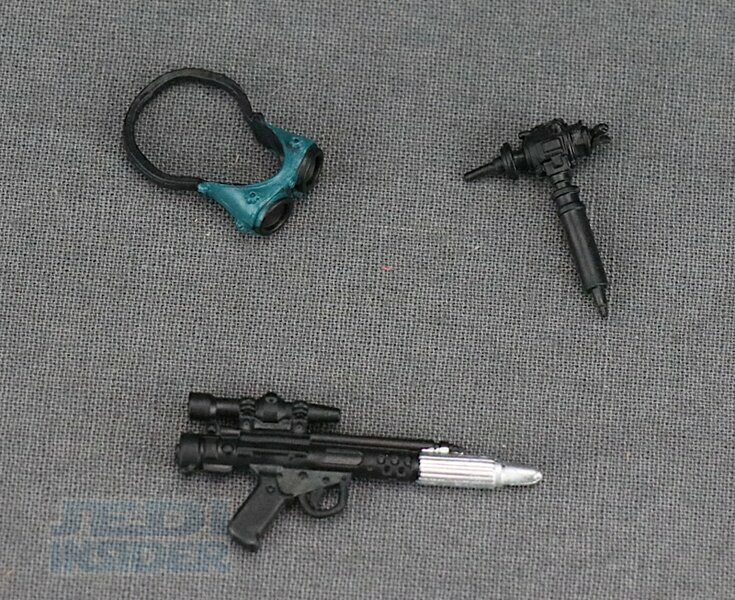 For accessories you get a rebel alliance style blaster which is not something you ever saw her use in the movies, but that's ok. You also get a pair of goggles and a wielding torch for doing repairs on the Falcon which are items you saw her use in Empire Strikes Back. The goggles actually fit well on her head and she will hold both the blaster and torch in either hand. 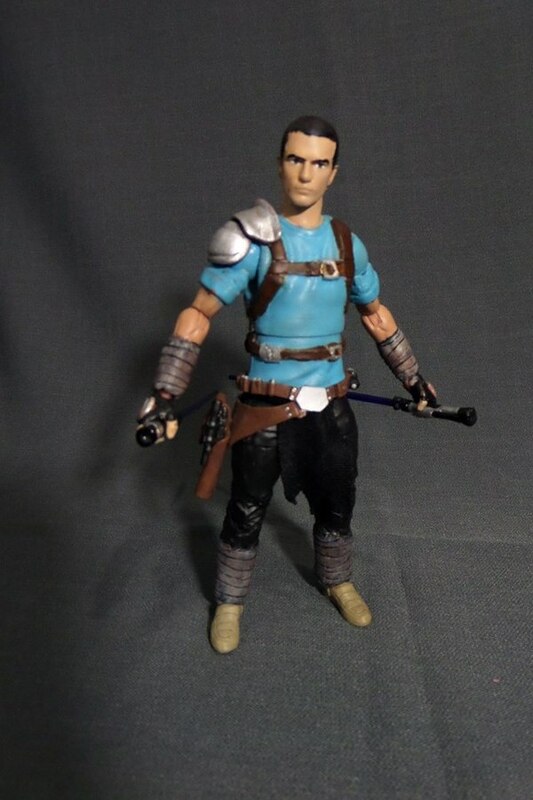 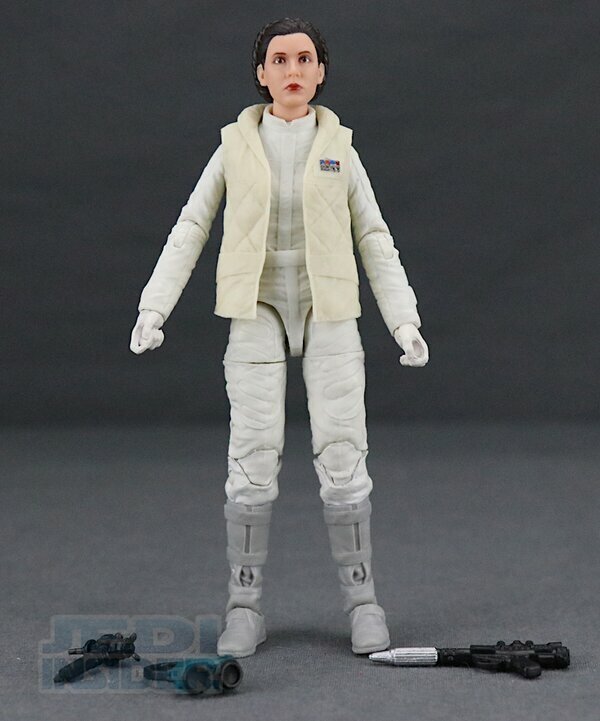 The figure also come with a removable vest jacket. 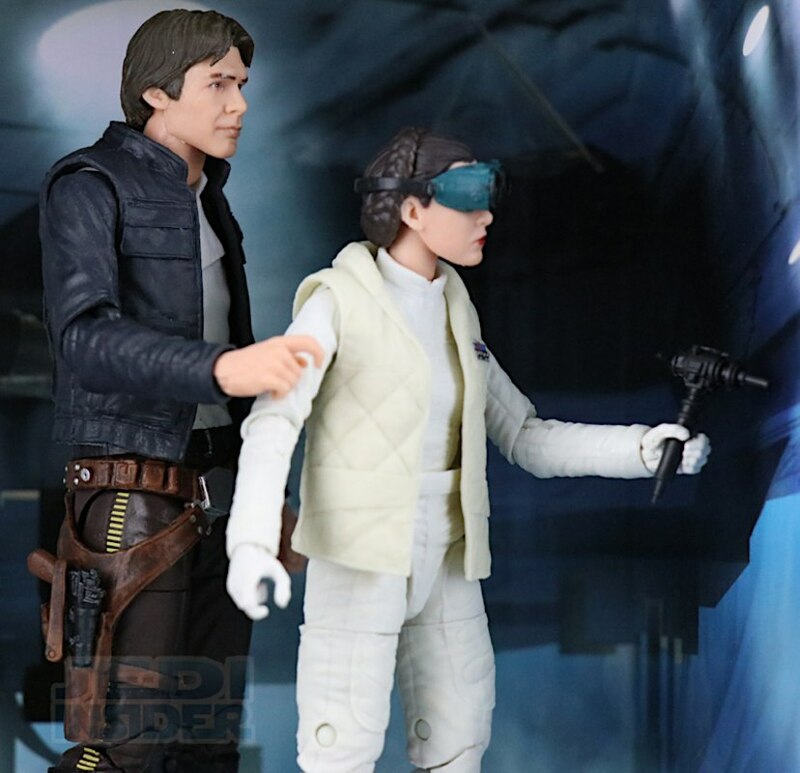 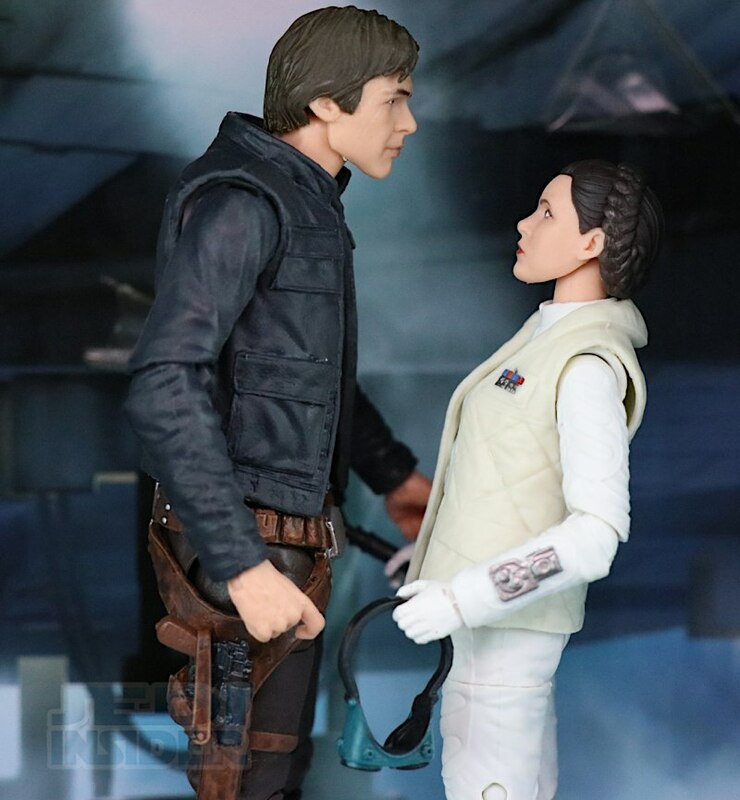 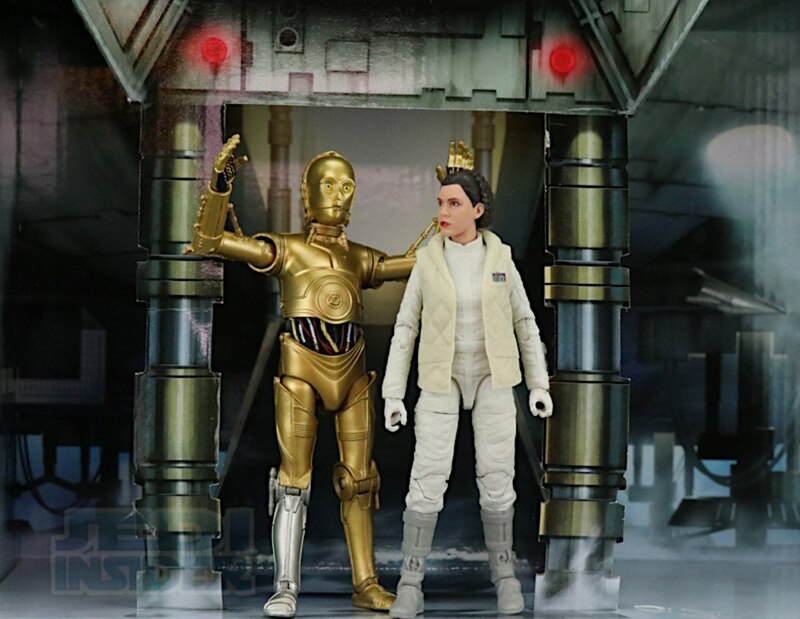 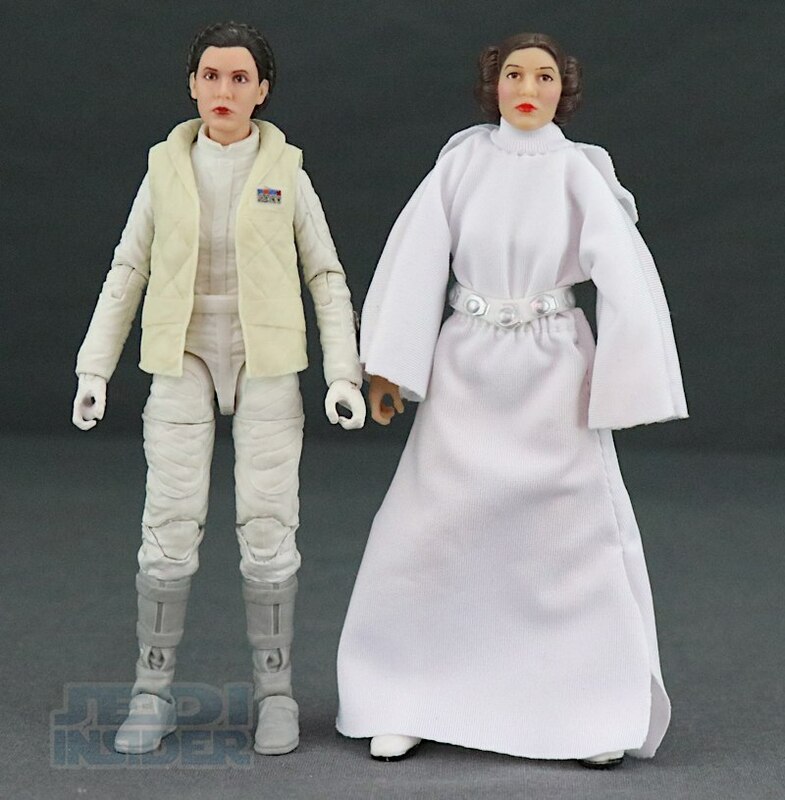 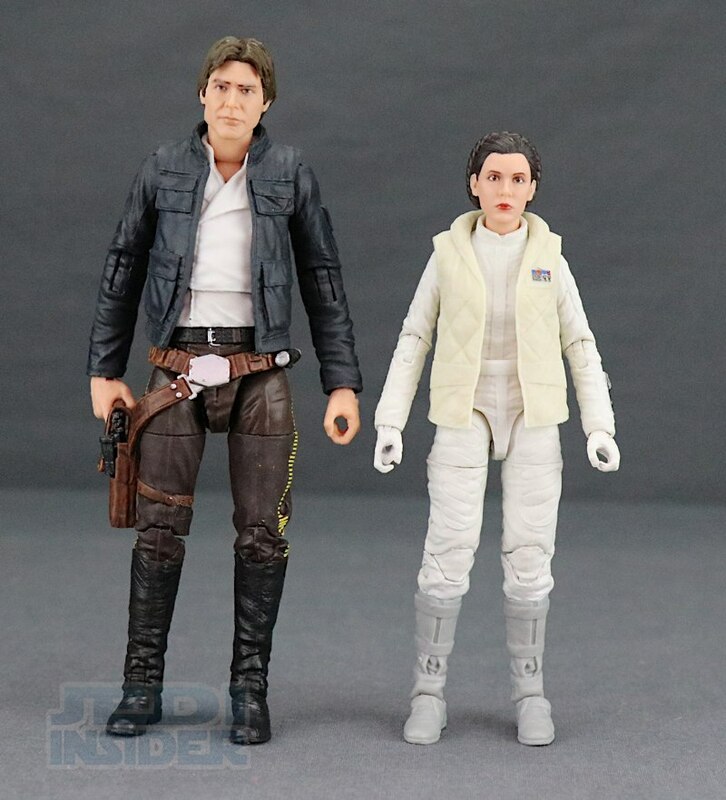 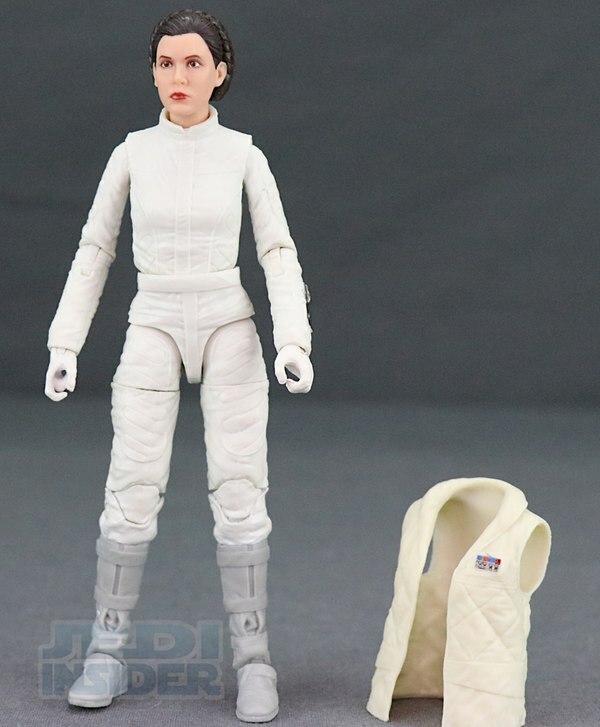 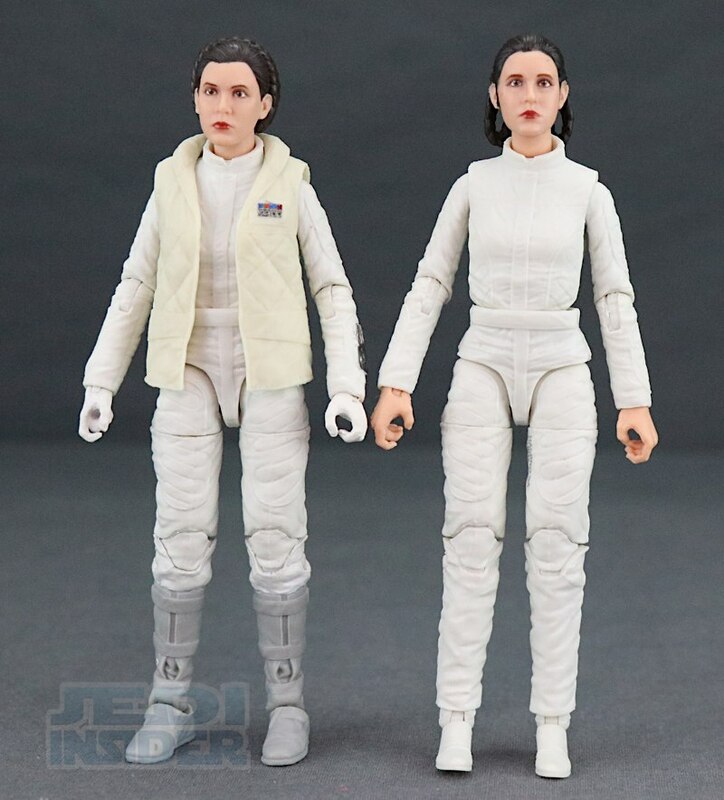 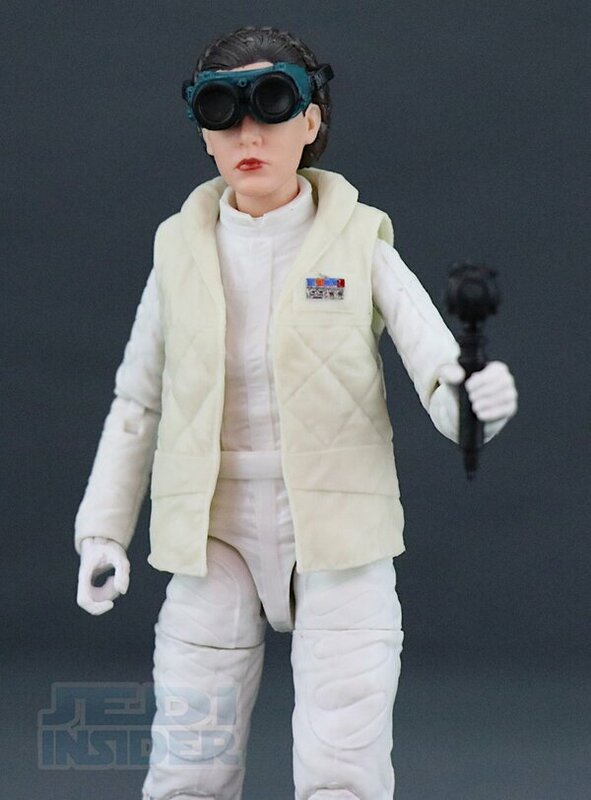 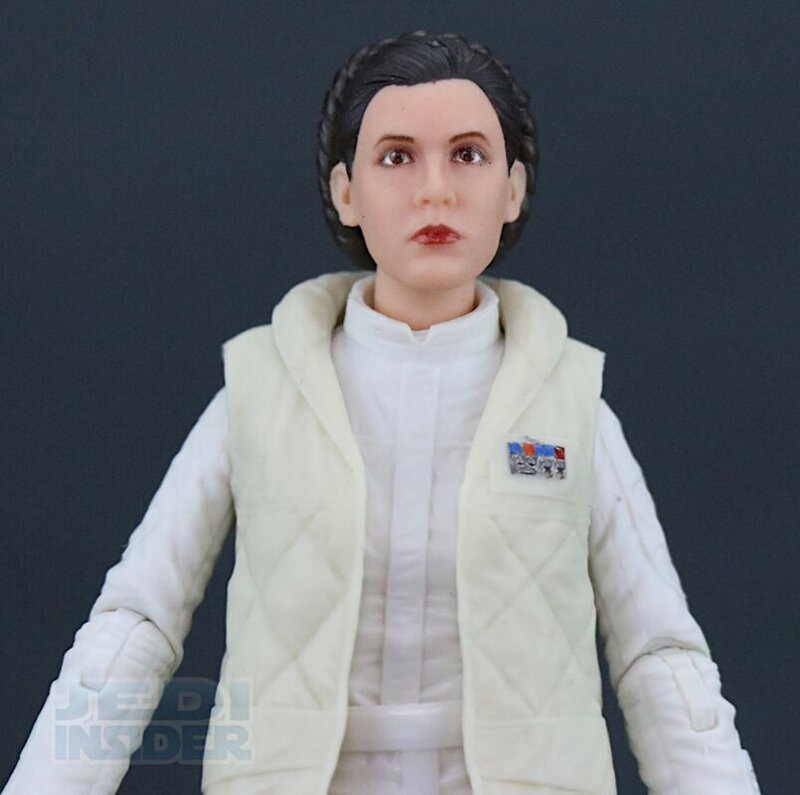 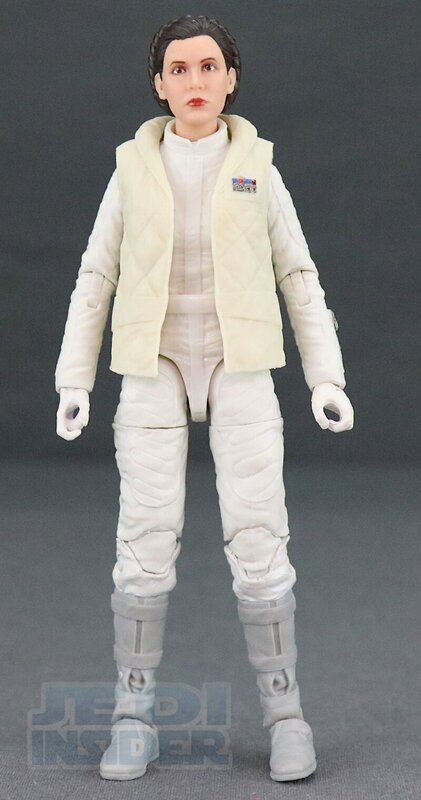 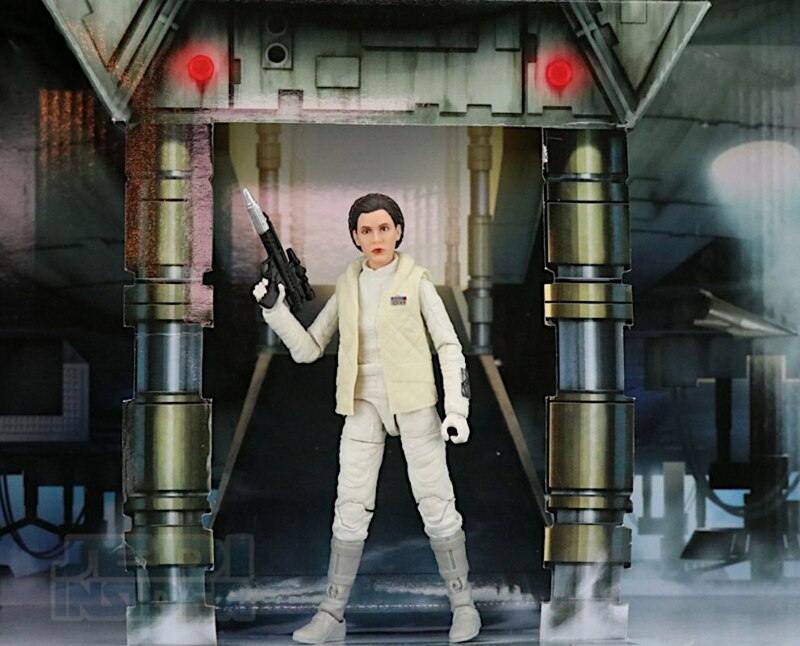 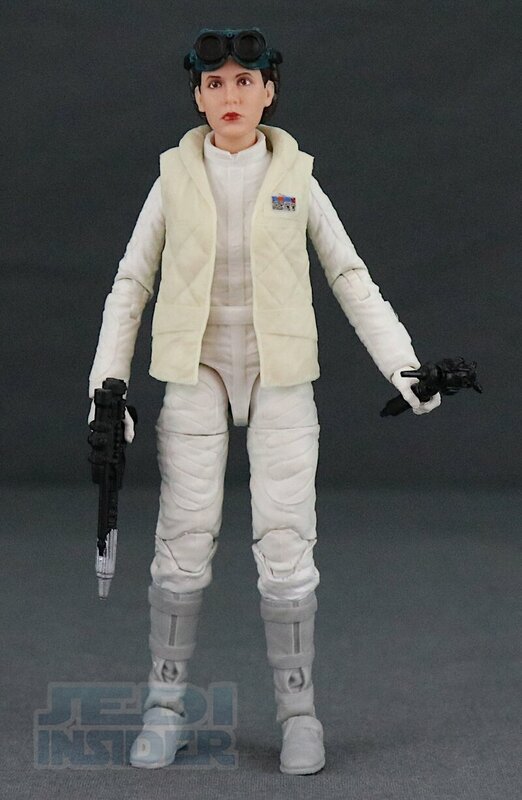 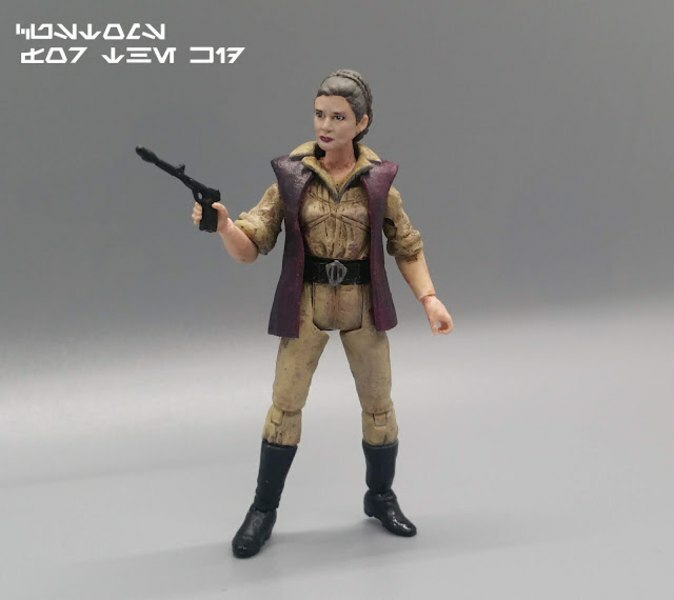 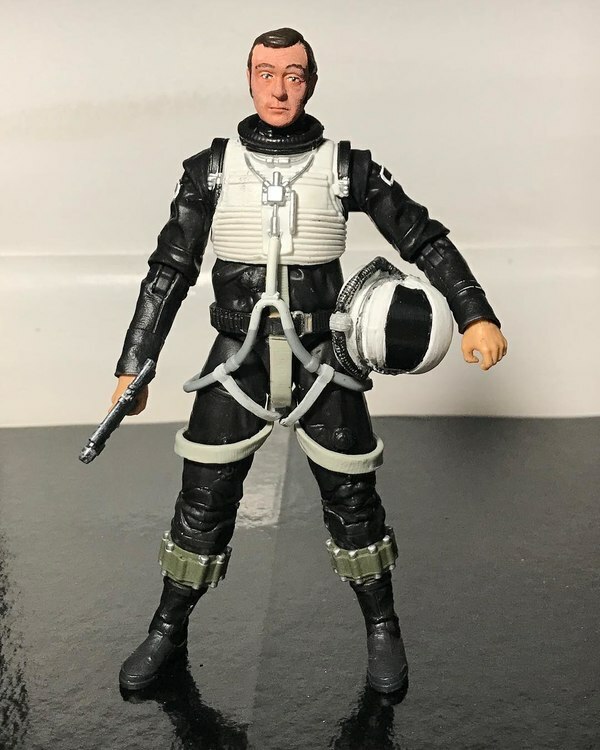 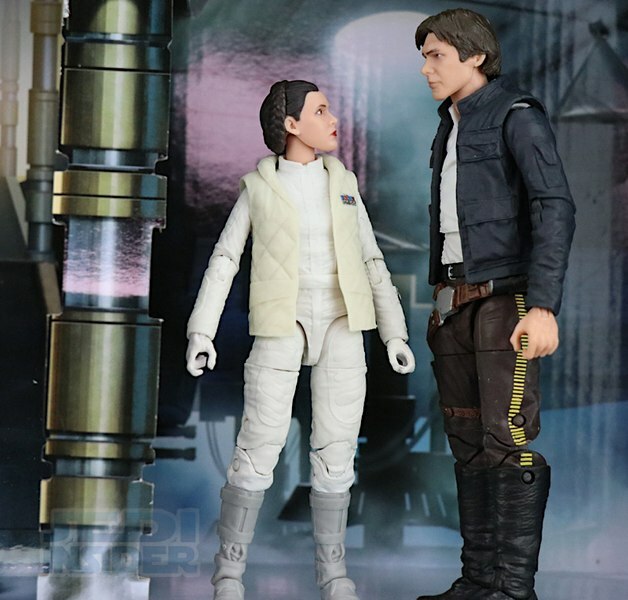 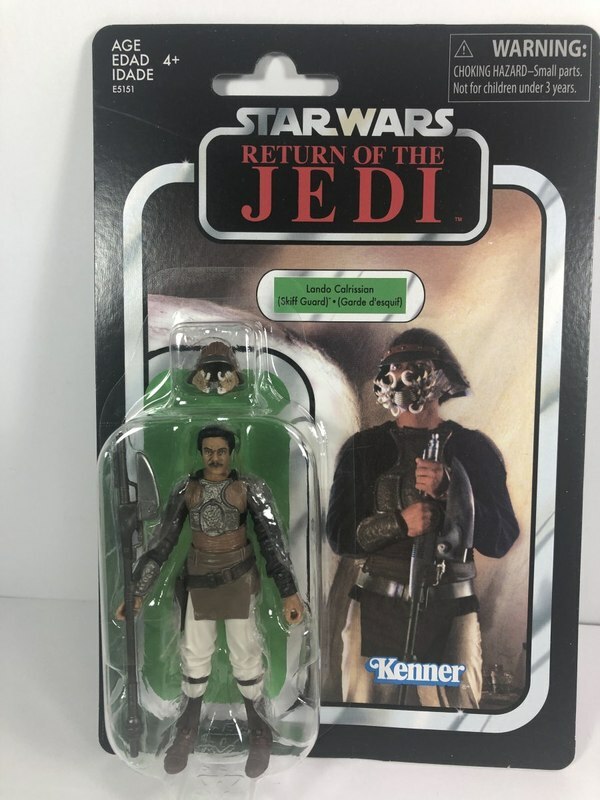 When you take the jacket off the figure looks very similar to the Bespin Leia minus the shoes and different hairstyle she sported with that look at the end of Empire. 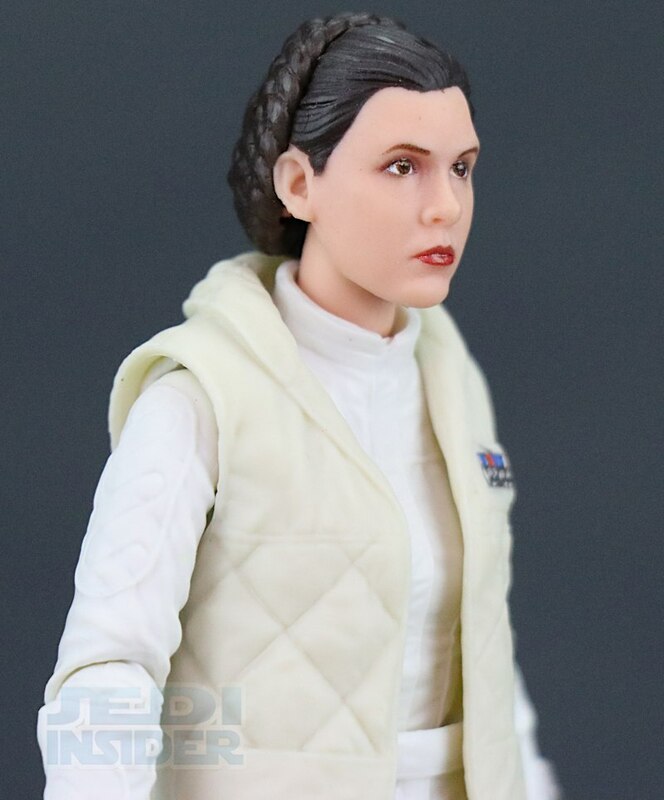 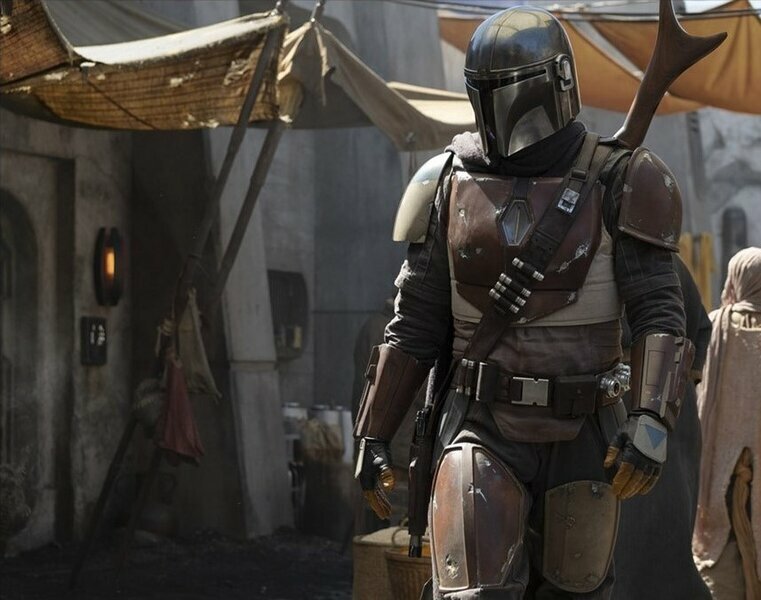 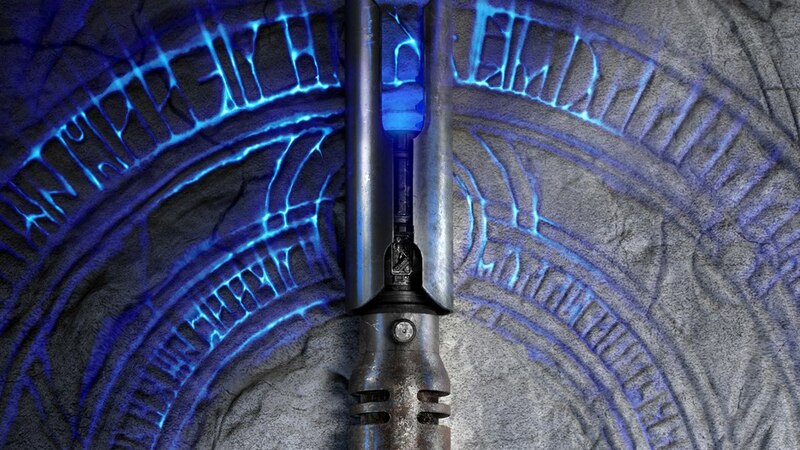 On the left sleeve she also has a communicator sculpted at her wrist which was not on the Bespin version. 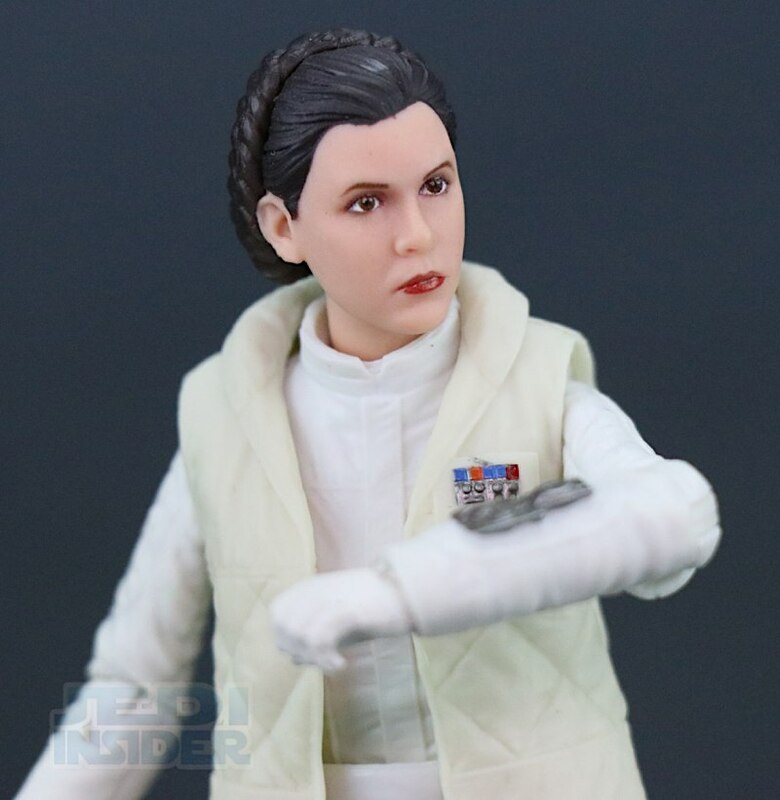 For the overall look, I think its the best looking Leia they have done, even besting the just released Target exclusive Bespin Leia figure. 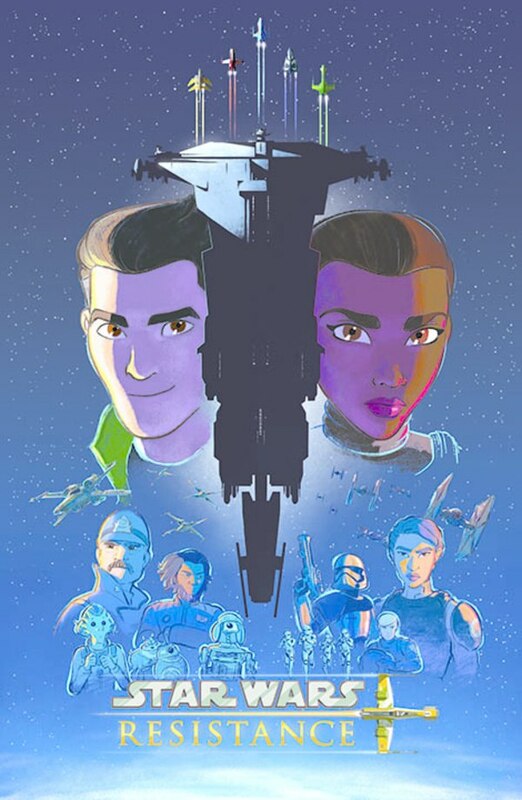 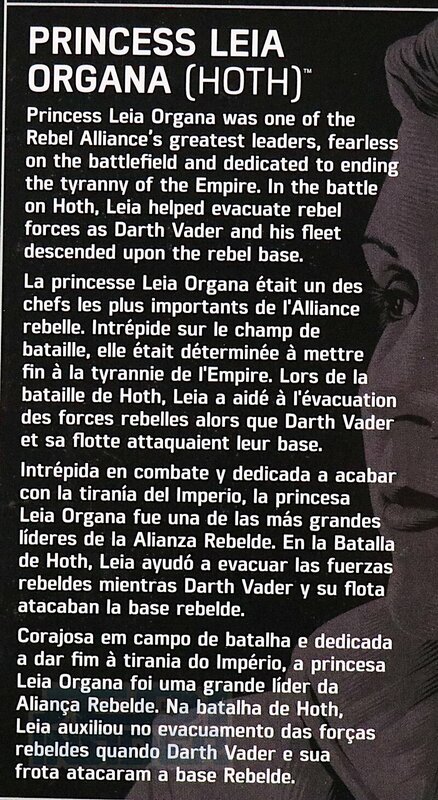 I think this one looks the most like Leia and how she appeared in the original trilogy movies. 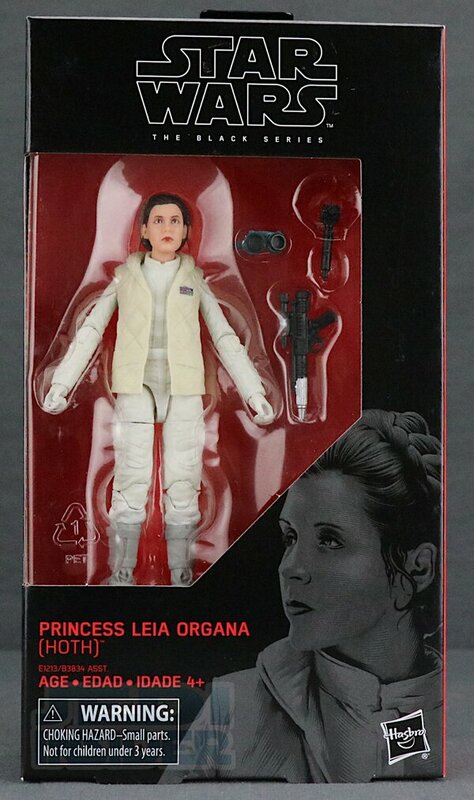 The pain applications are solid and even the eyes look good on this one. 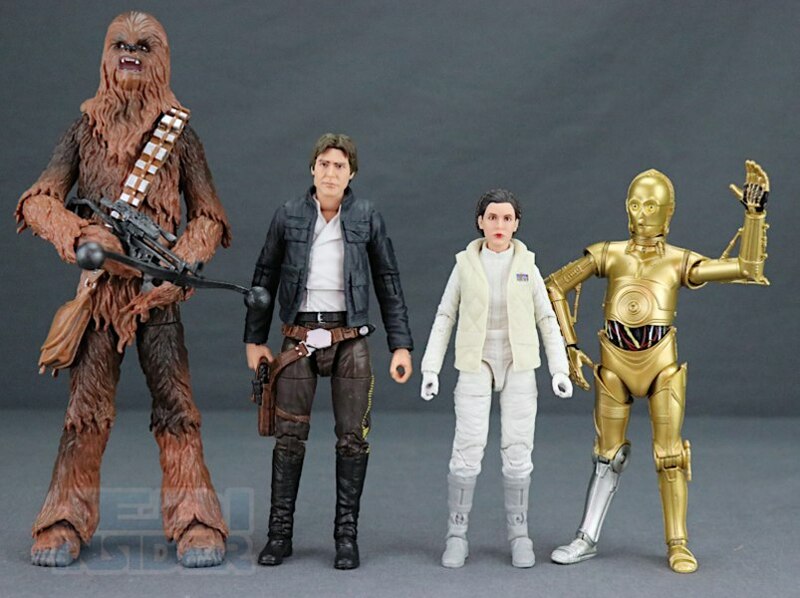 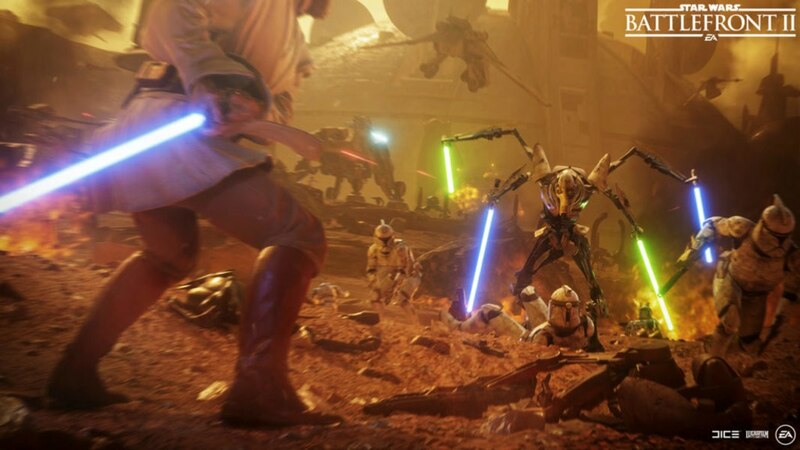 The figure scales well with the other figures in the line, especially with the Bespin Han Solo and C-3PO figures. 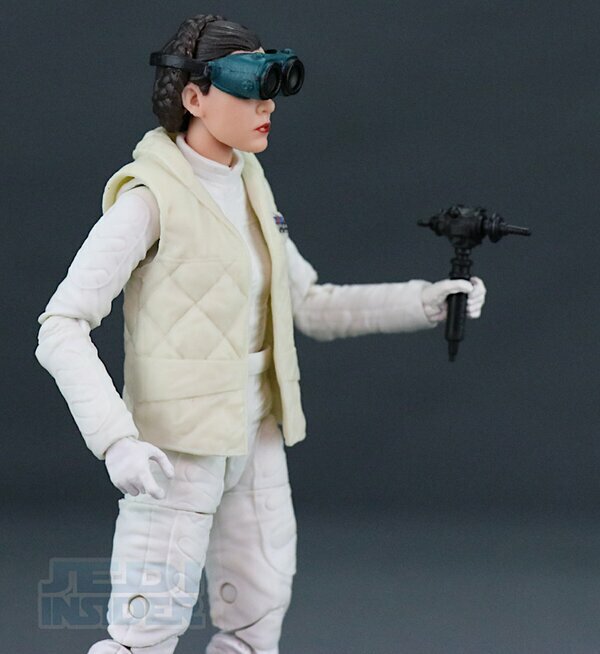 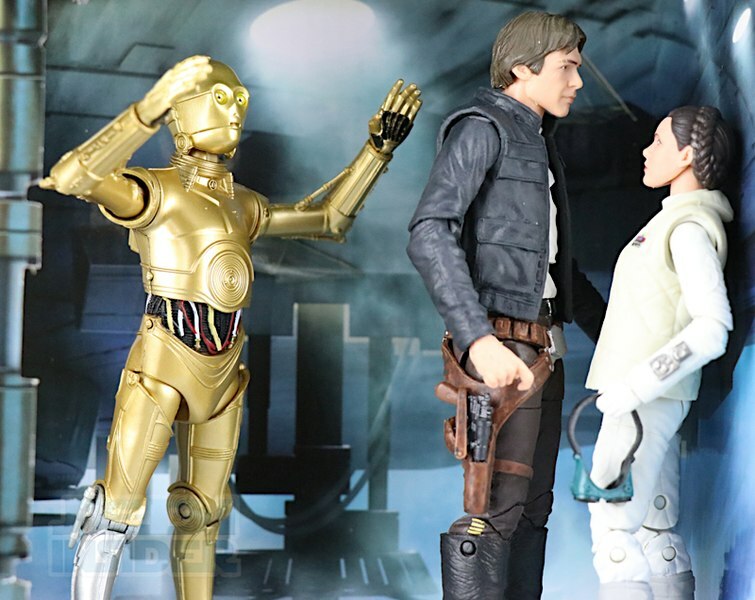 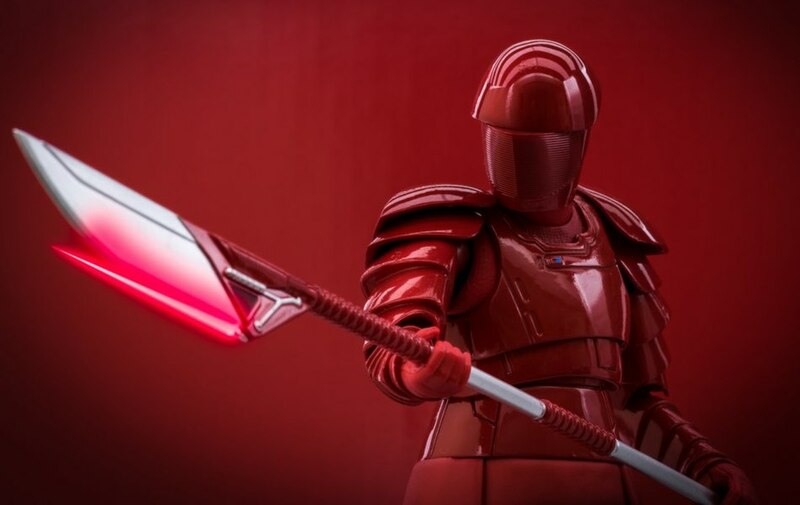 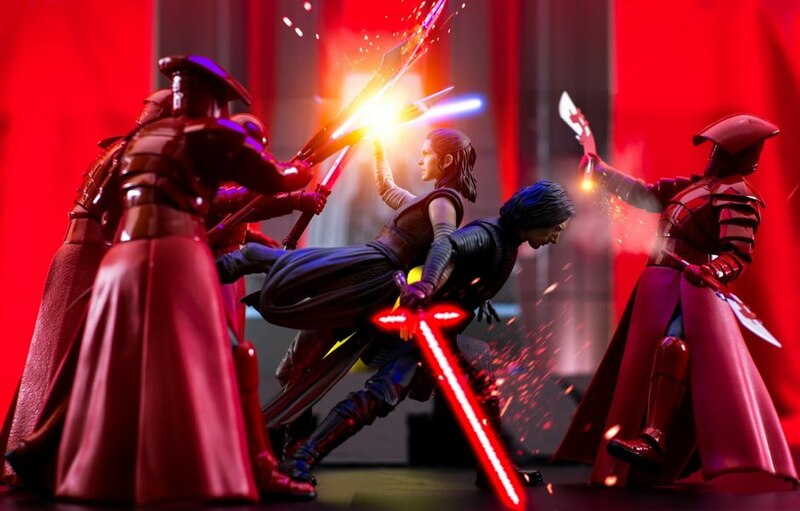 Articulation is what you would expect with any female Black Series figure. 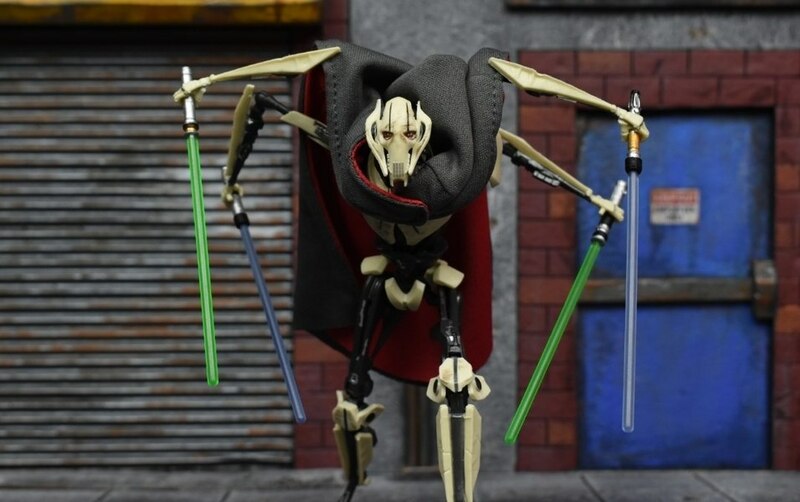 You get basic head movement, single-hinged swivel elbows, hinged hands, waist swivel, double-jointed knees and angle pivot. 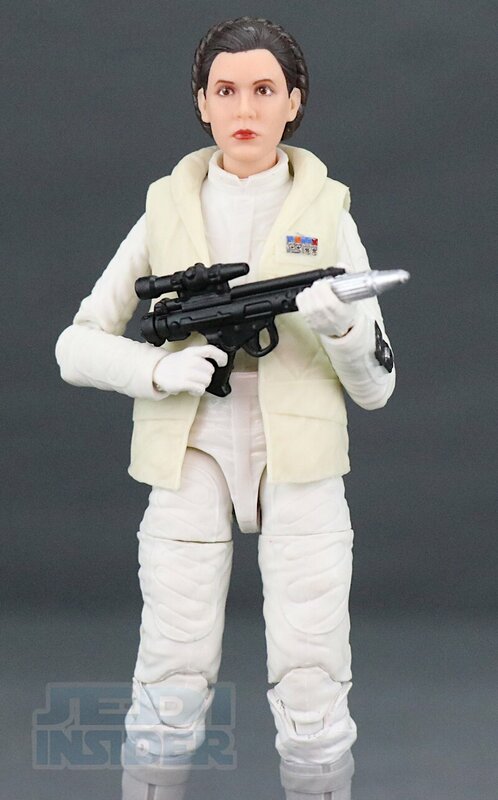 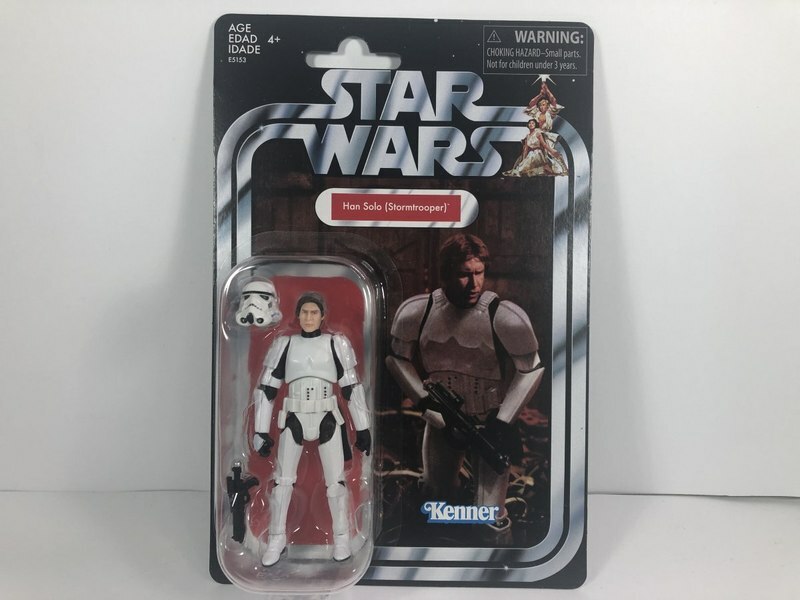 At the end of the day this is my favorite version of Leia from my favorite Star Wars movie and I think Hasbro delivered the ultimate figure of Leia with this one. 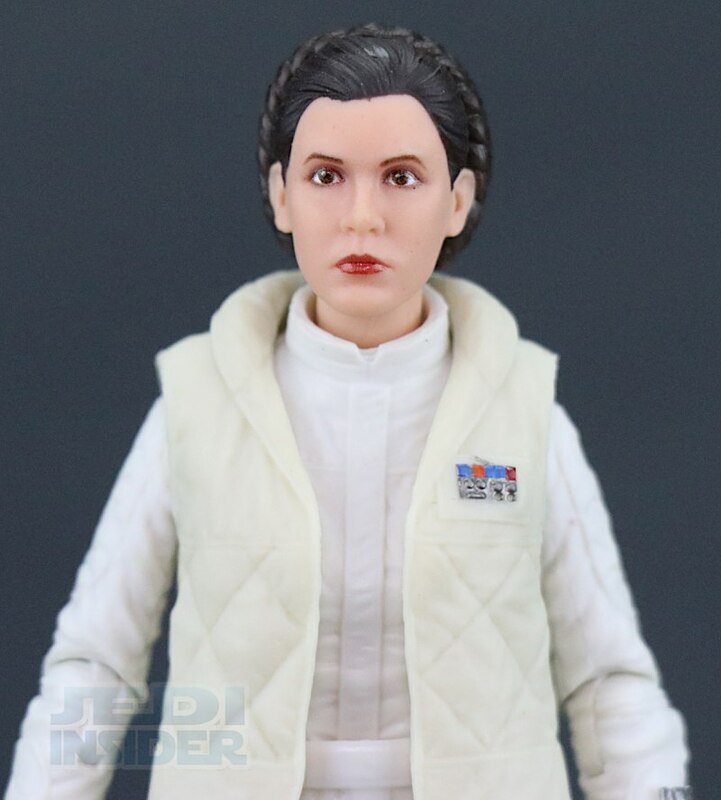 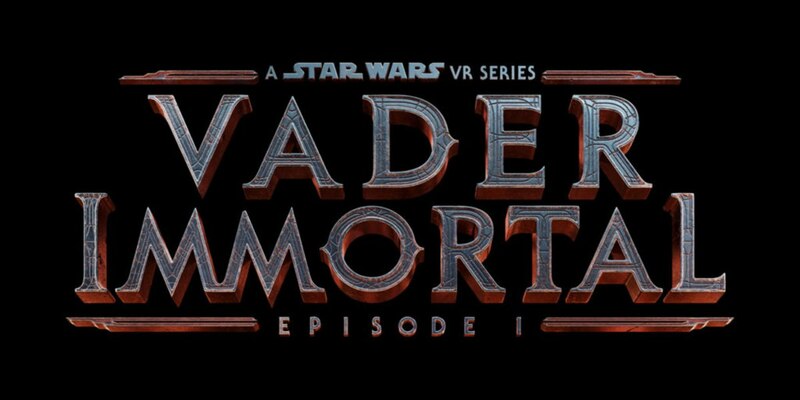 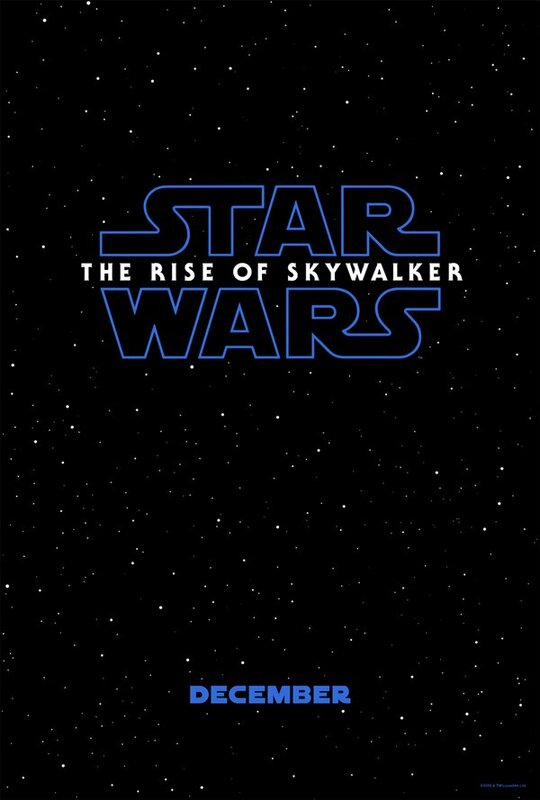 If you are a Leia fan or just by anything Black Series I think you will definitely want to add this to your collection. 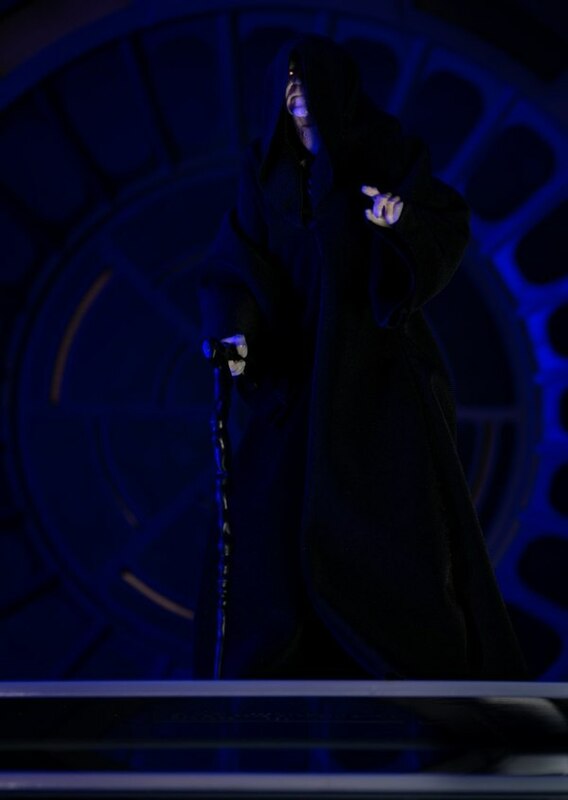 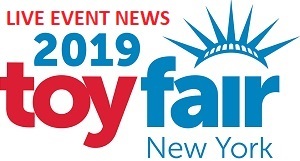 The figure has started to see limited release and can be pre-ordered now at Megalopolis.Toys.com. 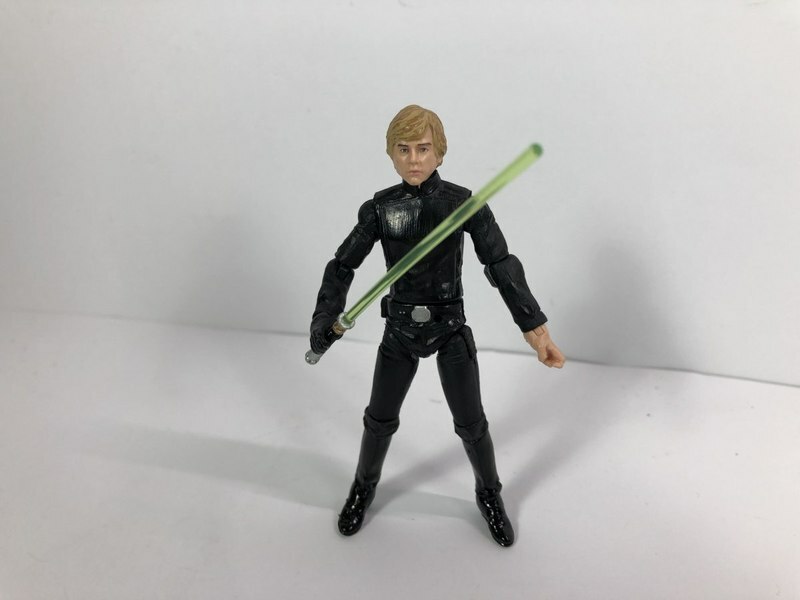 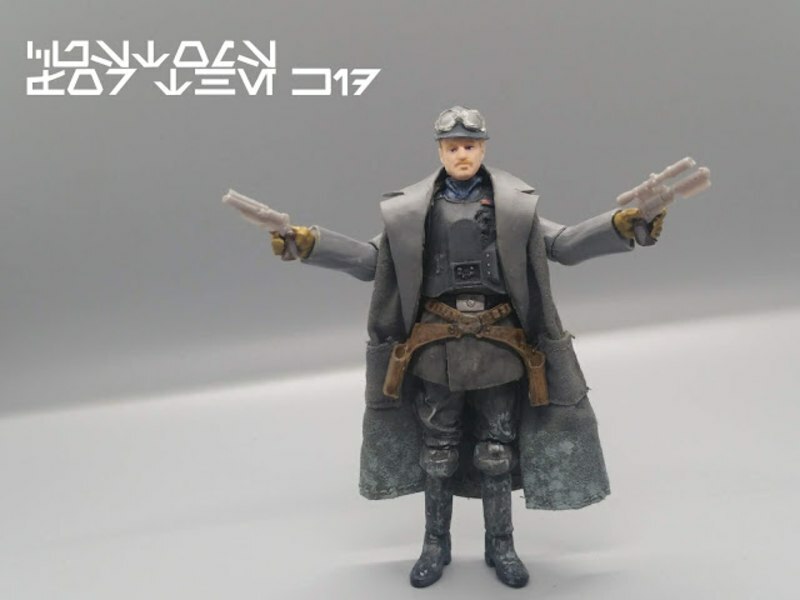 Check out more images of this figure below and let us know what you think about it in the COMMENTS SECTION.